Are you looking for possible solutions for you, a family member or friend with visual impairment? The OrCam, availabe at Grin Eye Care, may be your answer. OrCam is a compact device that attaches to the side of your glasses that recognizes faces, reads text aloud to you, and identifies supermarket products and money notes. For people who are blind, visually impaired, or have dyslexia, aphasia or other conditions, this has the potential to open a whole new world. Grin Eye Care is one of only a handful of practices across the country with this exciting new technology. There have been stories dedicated to the OrCam! OrCam MyEye gives independence to many who had thought that they lost it when they lost eyesight. 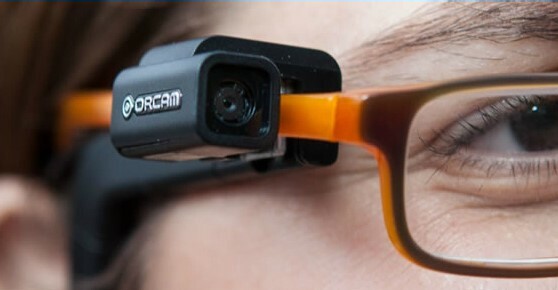 Call our office to set up a demo, or go to http://www.orcam.com to get more information.